Definition at line 1258 of file llspatialpartition.cpp. Definition at line 1261 of file llspatialpartition.cpp. Definition at line 1314 of file llspatialpartition.cpp. References LLCamera::AABBInFrustum(), LLOctreeState< T >::getChildCount(), LLOctreeState< T >::getElementCount(), mCamera, LLSpatialGroup::mObjectBounds, and mRes. Definition at line 1264 of file llspatialpartition.cpp. References LLSpatialGroup::isState(), LLSpatialGroup::mOctreeNode, LLSpatialGroup::OCCLUDED, and LLPipeline::sUseOcclusion. Definition at line 1306 of file llspatialpartition.cpp. References LLSpatialGroup::CULLED, LLSpatialGroup::isState(), LLSpatialGroup::setState(), and LLSpatialGroup::STATE_MODE_DIFF. Definition at line 1333 of file llspatialpartition.cpp. References LLSpatialPartition::checkOcclusion(), LLSpatialGroup::clearState(), LLSpatialGroup::CULLED, gFrameTimeSeconds, LLSpatialGroup::isState(), LLSpatialPartition::markReimage(), mCamera, LLSpatialGroup::mDistance, LLSpatialGroup::mLastAddTime, LLSpatialGroup::mOctreeNode, LLSpatialGroup::mSpatialPartition, and LLPipeline::sDynamicReflections. Definition at line 1354 of file llspatialpartition.cpp. References gPipeline, LLPipeline::markNotCulled(), and mCamera. Definition at line 1276 of file llspatialpartition.cpp. 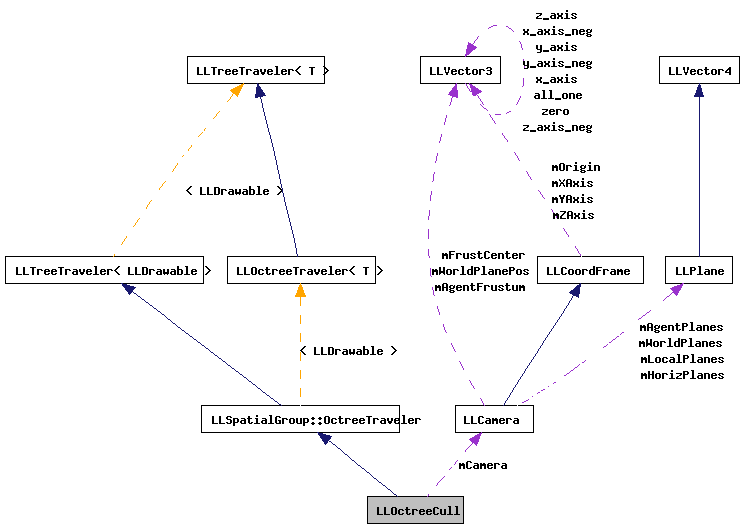 References LLCamera::AABBInFrustum(), earlyFail(), LLSpatialGroup::isState(), lateFail(), LLSpatialGroup::mBounds, mCamera, mRes, n, LLSpatialGroup::SKIP_FRUSTUM_CHECK, and LLOctreeTraveler< LLDrawable >::traverse(). Definition at line 1359 of file llspatialpartition.cpp. References checkObjects(), LLTreeState< T >::getListener(), preprocess(), and processGroup(). Definition at line 1371 of file llspatialpartition.cpp. 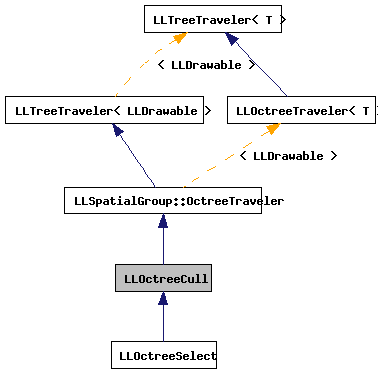 Referenced by checkObjects(), preprocess(), LLOctreeSelect::processGroup(), processGroup(), and traverse(). Definition at line 1372 of file llspatialpartition.cpp. Referenced by checkObjects(), and traverse().